Facebook users' data leaked, yet again! According to researchers at security firm UpGuard, the first of the two data sets originates from Mexico-based media publisher Cultura Colectiva, weighing in at over 146 gigabytes and featuring over 540 million records, including Facebook IDs, comments, likes, and reactions. The second data set, sourced from a Facebook app called “At the Pool”, was just a fraction of the size as the Cultura set, but contained more critical information, including plaintext Facebook passwords for over 22,000 users. Scariest of all, both data sets were stored in Amazon cloud storage buckets that allowed public downloads. Psychologies magazine is available in Pakistan - Subscribe now! As UpGuard points out, despite the fact that Facebook has promised a renewed sense of urgency regarding its user’s data, especially following the catastrophic Cambridge Analytica leak last year, there is only so much that the company can control at this point. While it may be able to prevent or limit new leaks like this from happening in the future, the “At the Pool” app shut down in 2014, and yet the data was floating around online for years. 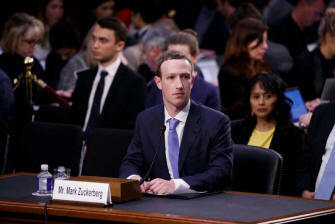 “Facebook’s policies prohibit storing Facebook information in a public database,” a Facebook spokesperson said after the UpGuard story came to light. “Once alerted to the issue, we worked with Amazon to take down the databases. We are committed to working with the developers on our platform to protect people’s data.”.